Begin by dry shaking all ingredients. Follow by adding ice and vigorously shaking the ingredients. 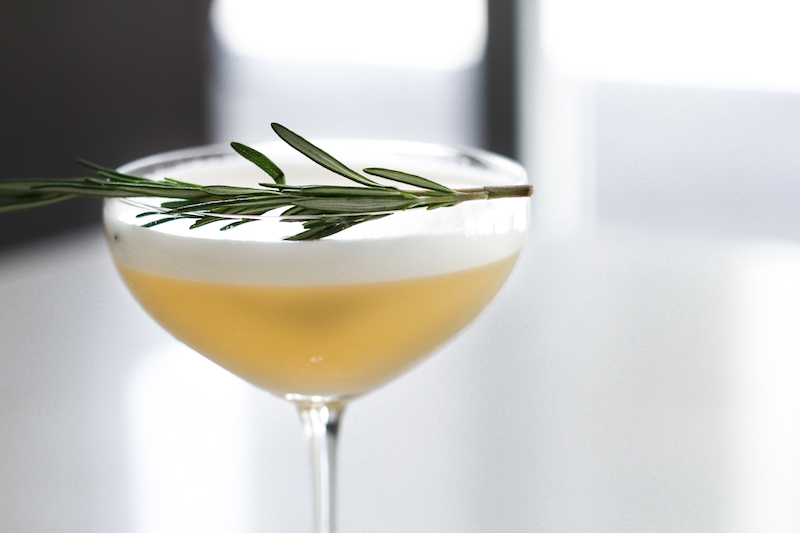 Finish by fine straining into coupe and garnish with a rosemary spring.